Today in America, approximately 33 percent of all marriages form blended families. Blended families are very common, but being a smart blended family, in many cases, is not. 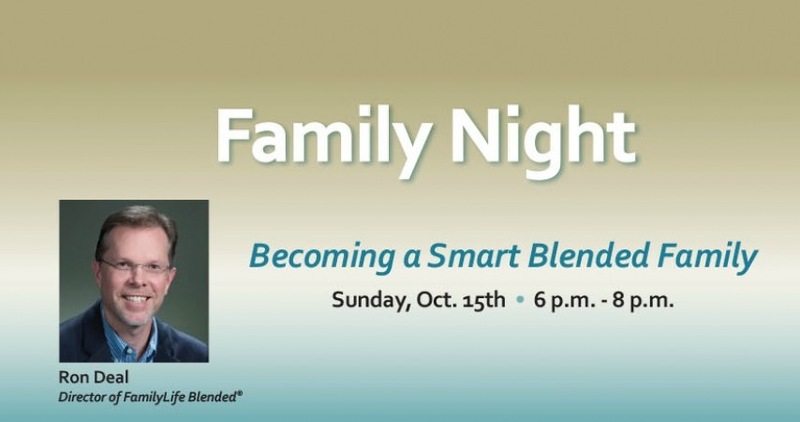 Join Horizon Family Ministry on Sunday, Oct. 15th, as Ron Deal, Director of FamilyLife Blended®, presents a humorous and engaging workshop about successfully navigating the waters of a blended family. You’ll learn more about co-parenting and developing a healthy marriage, as well as glean answers to some tough questions that are unique to blended family situations. It will also equip you with tools to successfully manage your home environment. We encourage you to take this time to invest in your marriage and your family! Childcare will be offered for children infant through 1st grade. Age appropriate classes will be offered for students in 2nd through 12th grade. To learn more about Ron Deal, click on the download bio button below. Questions? Contact Amy Reger at areger@horizoncc.com or call 513 272-5800. - Please plan to have dinner before you attend. Healthy snacks, refreshments and desserts will be served.